You must have heard a lot about the beauty benefits of fresh coconut milk. But have you ever tried coconut milk soap? Well, these are quite different from regular soaps as they infuse all the goodness of pure and fresh coconut milk into the skin and hair without depleting their natural oils. But that’s not all coconut milk soap can do! There is much more that you can expect from it! The best thing about coconut milk soap is that it actually cleanses the skin from inside without causing excessive dryness. Being rich in pure coconut milk, coconut milk soaps contain lots of fatty acids. The soap is formulated to deep cleanse the skin by removing all sorts of impurities (dirt, dust, dead cells, etc.) and that too while maintaining skin’s natural hydration. In short, it acts as a gentle, yet effective facial cleanser. The huge amount of nutrients as well as fatty acids present in coconut milk soaps offer intense hydration to dry, dull and lifeless skin. Unlike other soaps, the coconut milk soaps do not dry out the skin while cleansing it. Rather, coconut milk soap’s super-moisturizing properties help in restoring the lost moisture of the skin by rejuvenating the cells thoroughly. As a result, we get soft, supple and smooth skin. Regular use of coconut milk soap can delay premature aging significantly. It has been found that coconut milk is enriched with powerful antioxidants including Vitamin C and Vitamin E, which lower the number of harmful free radicals in our body and prevent oxidative damages caused by them. It is also full of essential micronutrients like selenium, iron, copper, zinc, and so on, which take care of the health and nourishment of the skin. Regular use of this soap also claims to prevent wrinkles, fine lines, sun damages, age spots and sagging skin. As said earlier, coconut milk soaps are effective in deep cleansing the skin, which makes them a great acne treatment option. Apart from it, coconut milk is packed with fatty acids like lauric acid, caprylic acid, capric acid, etc., which, being efficient anti-microbial agents, can reduce existing acne and prevent further breakouts to a great extent. Moreover, some of these fatty acids can work as antioxidants that put a stop to free radical damages and eliminate blemishes faster. The lauric acid present in coconut milk is known to have excellent anti-bacterial, anti-viral and anti-fungal properties. Coconut milk Soaps can create a ‘chemical barrier’ on the surface layer of the skin with regular application. Its regular use will also keep a number of minor to major skin infections like eczema, psoriasis, contact dermatitis, etc. away. When it comes to repairing and healing damaged skin, coconut milk soap can turn out to be the savior. It contains a huge amount of Vitamin E as well as many other vital nutrients that nourish the cells and speed up the overall repairing process. It is used to make the skin smooth and healthy by healing rashes, wounds, burns, chapped skin, etc. Coconut milk is a wonderful source of protein, which is basically the building block of hair. So, using coconut milk soap on your tresses can make them stronger and healthier. Besides, it is loaded with essential vitamins, minerals and fatty acids, which provide the utmost nourishment both to the scalp and the strands. And at the same time it repairs all sorts of hair damages successfully. The fatty acids present in coconut milk not only moisturize the skin, but also condition our hair. So, if you have dry, damaged and brittle hair, you should definitely give coconut milk soaps a try to replenish the lost moisture and shine of your locks. Being rich in essential nutrients, coconut milk soaps can nourish your scalp and feed your hair follicles efficiently. It also keeps the scalp soft and hydrated, which prevents the formation of dandruff by regulating dryness, flakiness, etc. Last but not the least, the regular use of coconut milk soap promotes the overall health of our skin and hair. From inducing enough moisture to averting microbial attack, it can aid in beauty in a number of ways. As a result, we get healthy-looking complexion and tresses in a natural way. 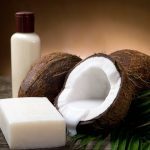 These were some of the benefits of coconut soap. 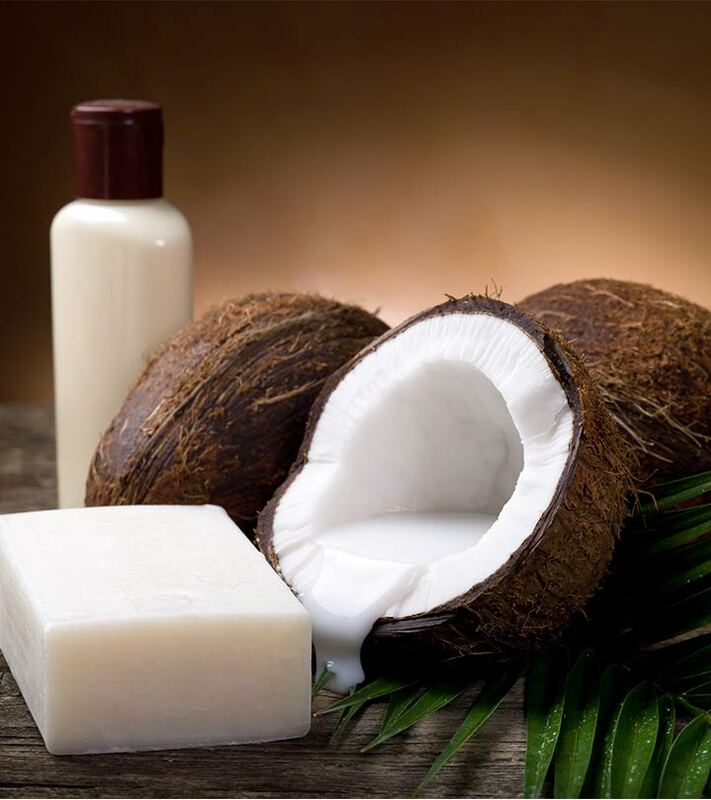 Are these good enough reasons to include coconut milk soap in your beauty regimen? I definitely think so! Give it a try! Do you use coconut soap? What is your experience with it? Share it in the comments section.